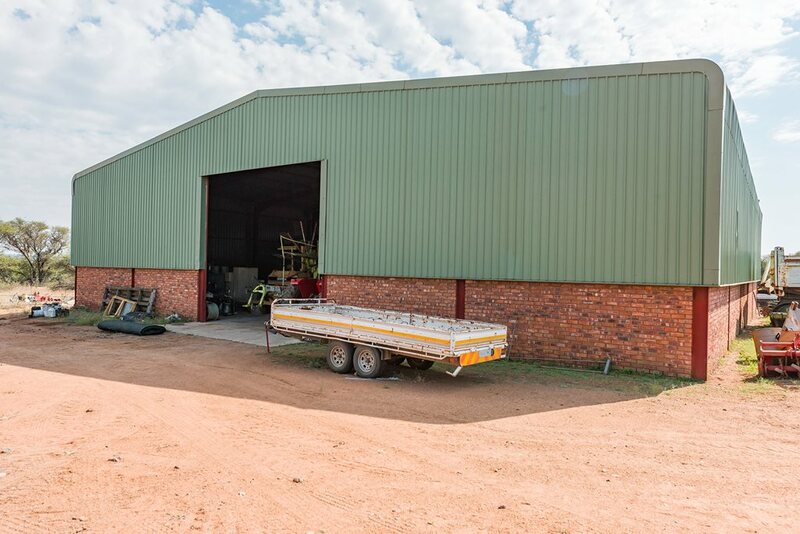 The subject property is located in the Municipal district of Madibeng, approximately 45km north of the town of Brits and approximately 120km south of Thabazimbi and 50km from Rustenburg. The area is commonly known as Beestekraal. 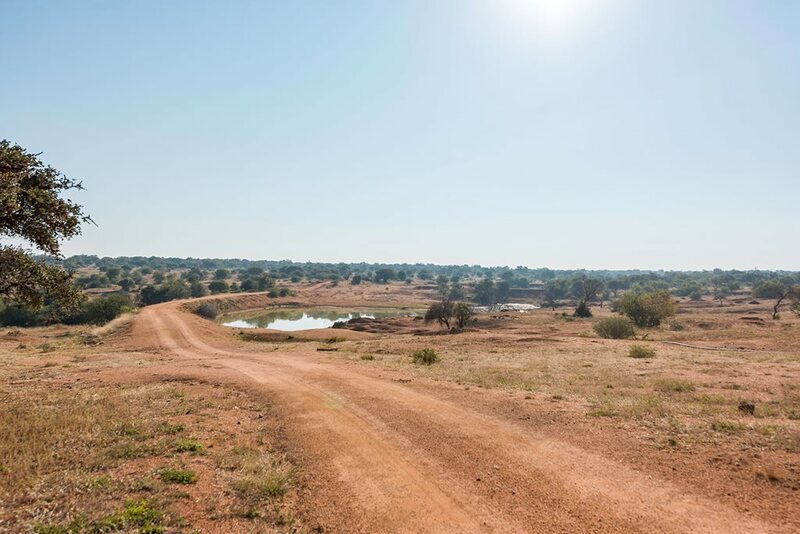 The versatile area is characterised by game, cattle and irrigation farming (mainly grain and lucerne) owing to the availability of water from the Crocodile River- West Irrigation Board and underground water sources. 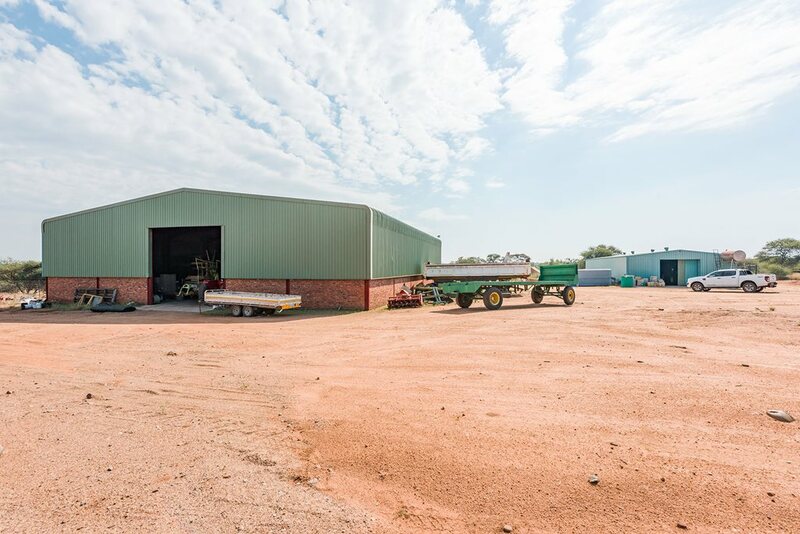 It is well located, within close proximity of all the main arterial routes (the N4, R511 and the D 105 Rustenburg road) leading to Tshwane, Johannesburg, Brits, Thabazimbi and Rustenburg. Easy access to these roads ensures effective transport of goods to and from the International Oliver Tambo- and Lanseria Airports, as well as to the Fresh Produce Markets of Tshwane and Johannesburg. Services in terms of transport, medical outlets, police station and fire brigade are all located within a radius of 45km from the subject property. A Primary school is within 20km from the property. 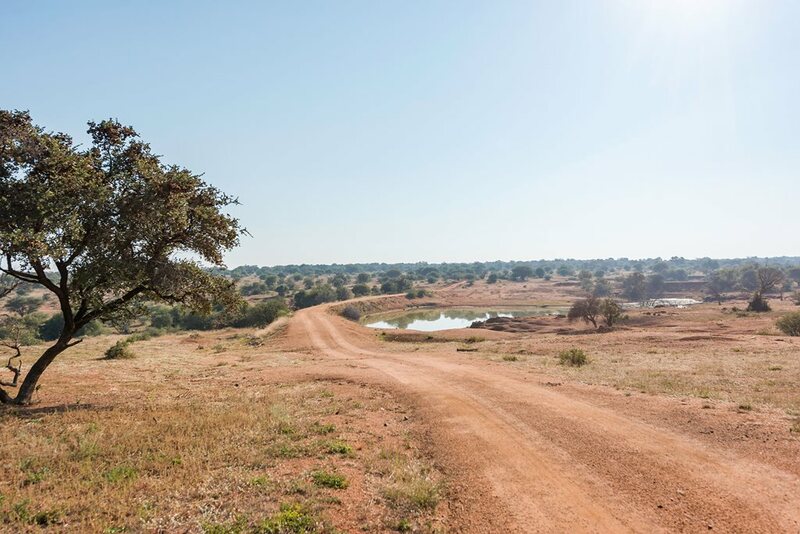 Access route to the farm: From Brits take the Thabazimbi road (R511) for ± 45 km, turn left (“Long Horn” sign). 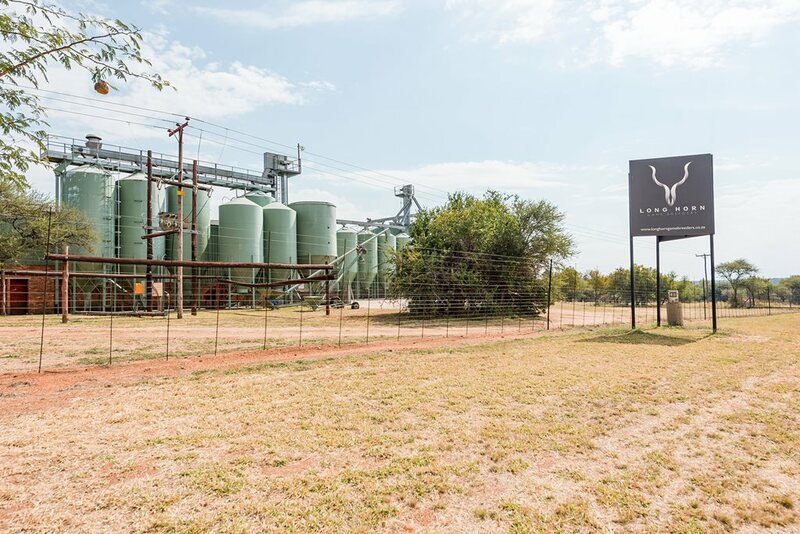 Extensively developed game farm with fourteen (14) existing game breeding camps, 25ha irrigated lucerne land with Valley centre pivot and equipped for both rifle and bow hunting. The property offers also a modern feed mill/plant. Situated on the banks of the Crocodile River, the property enjoys approximately 4km riverfront. The farm furthermore has direct tar road access since it borders the R511 Brits/Thabazimbi road. 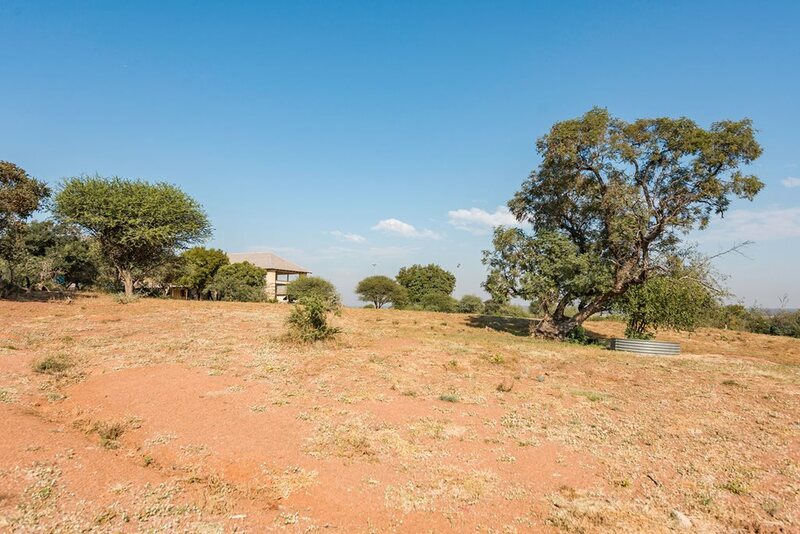 This property is stocked with large herds of different plains game species and also breeding herds of exotic game. The property’s layout can best be described as an even shape. The farm has an undulated terrain overall and slopes more than 5° from the eastern (R511-road) to the western boundary (Crocodile River). The topography thus favours game farming activities. The farm is totally game fenced with steel poles, droppers and steel wire (22 strands) on the border. Water reticulation and use: There are 34.6ha entitled/listed water rights for irrigation allocated to the property under the Crocodile- West Irrigation Board (ANNEXURE: C: Water Certificates). There is one electrical pump stations on the Crocodile River, which supplied adequate water through a mother line to a 25ha Central Pivot (lucerne) as well as to all the specialized exotic game breeding camps for irrigation of each “green camp” and game drinking purposes. There are two equipped boreholes evenly placed on the farm which supply adequate water for human and animal usage. There is one (± 5000l) plastic water capture tank on a steel stand (± 4.4m in height) at the hunter’s cabin on the river bank, for human usage and one at the feed mill. There are also three earthen dams, evenly placed over the entire farm. These dams are located in seasonal streams and also linked to the water reticulation from the river. There is also an old cement dam on the farm. No soil or substratum survey has been carried out on the subject property. The soil on the farm are a variety of some rocky and some sandy gravel type soil (“gruis”) (±90%), with some Hutton type (10%) with low clay index, as can be noted along the river side. Soil is regarded as ideal for game farming purposes, while parts of the farm are suitable for arable irrigation purposes. The grazing capacity is ± 8 to10 hectares/LSU. From an agricultural point of view, the land is predominantly suitable for natural grazing and irrigation. At date of this valuation the grazing potential were very good /exceptional, due to good rainfall. The current carrying capacity of the veldt is 1 Large Stock Unit (LSU) per ± 8/10 hectares, as mentioned. A wide variation of grass types occur. In general, the veldt can be classified as sweet veldt. No bush invading is visible on the farm. Steel poles with high density shade net covers. The flooring are graveled. This structure consist of two separate bedrooms/chalets, a 25m² three bed air-conditioned chalet with built-in cupboards, kitchenette and en-suite bathroom with tiled floors and gypsum ceilings and a 35m² four bed air-conditioned chalet with built-in cupboards, kitchenette and en-suite bathroom, also with tiled floors and gypsum ceilings. This building is in a good condition, due to visible maintenance. Both the hunter’s chalets and the managers house is situated on the Crocodile river banks with beautiful views. There are outside braai bomas. The fence around the camp is securely electrified. This is a neat a 92m² five bed air-conditioned chalet with built-in cupboards, kitchen, dining room and two bathrooms, with tiled floors and gypsum ceilings. Air conditioned. The chalet is in a very good condition. The structure consists of cement brick walls under a slanted corrugated iron roof. The floors are tiled and that of the veranda concreted. It is serviced with running water and electricity. The condition is fair. 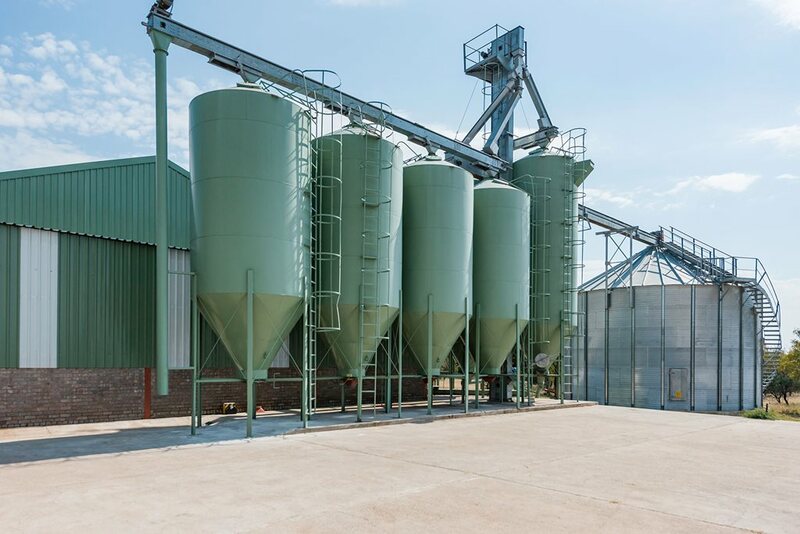 A high capacity feed mill is located on the property, situated adjacent to the R511 road between Brits and Thabazimbi. The mill produce quality game feed in pellets.  Batch making software and control systems for automated recipe execution. Coordinates at farm entrance: 25° 19’52.04” S and 27° 35’33.33” E.